You know that report about Samsung moving up the launch date of the Galaxy Note 5 and Galaxy S6 Edge+ to give them some breathing room ahead of Apple’s next iPhone unveiling? I wouldn’t be shocked at this point if Samsung really has decided to release these two new phones earlier than originally anticipated. 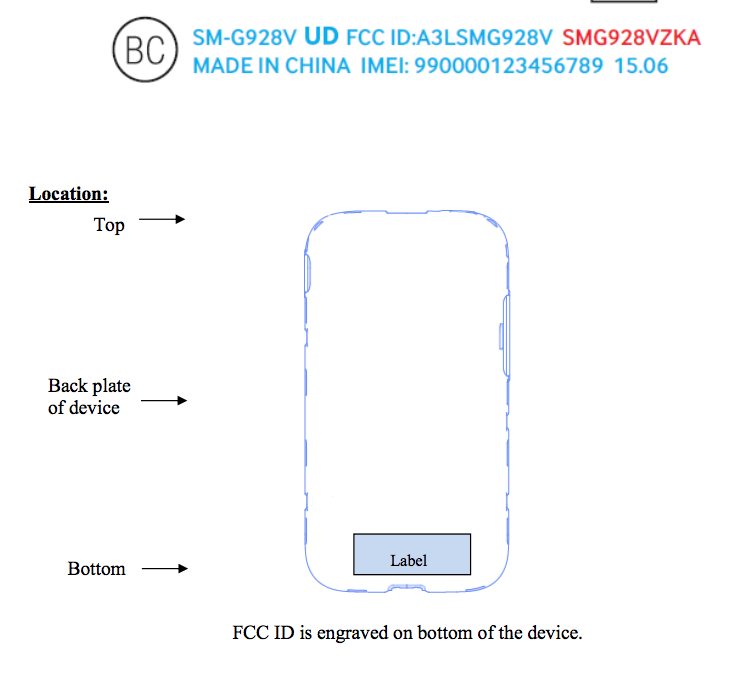 Yesterday, a Samsung phone under model number SM-N920 showed up at the FCC for almost every single major US carrier. We’ve got listing for T-Mobile, Verizon, and AT&T, just not Sprint (UPDATE: Sprint is live). If that wasn’t enough, we are also seeing listings for another model number of SM-G928 that is largely thought to be the Galaxy S6 Edge+, a bigger version of the original S6 Edge. In case you were wondering why those model numbers mean anything, it’s because they are continuations of previous Samsung model number schemes. The Galaxy Note 3 was SM-N900 and the Galaxy Note 4 was SM-N910. It certainly makes sense that the new Galaxy Note 5 would drop in as SM-N920, right? As for individual carrier models, we have listings for the SM-N920T (T-Mobile), SM-N920A (AT&T), and SM-N920V (Verizon). With the Galaxy S6 Edge+, we have model numbers of SM-G928T (T-Mobile), SM-G928V (Verizon), SM-G928A (AT&T), and SM-G928R (US Cellular). The original Galaxy S6 Edge was SM-G925, in case you were wondering. 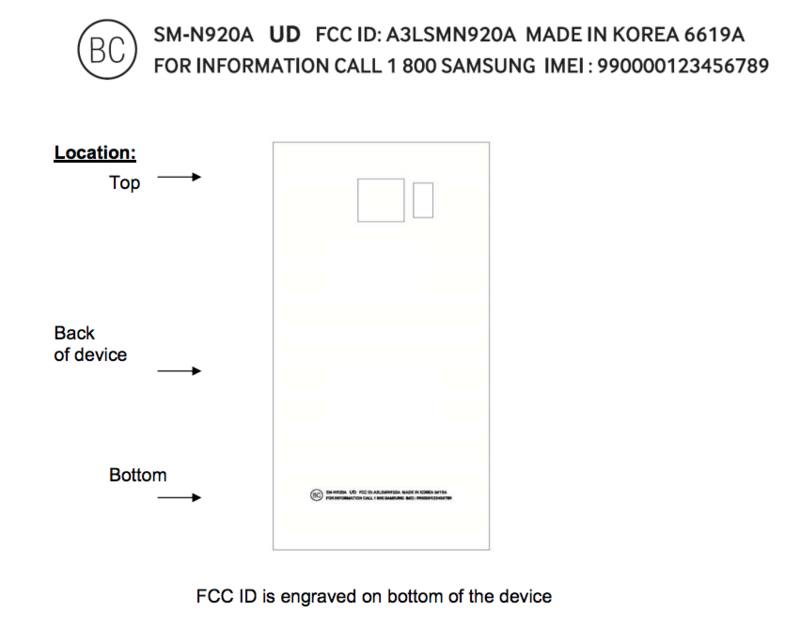 If that info wasn’t enough, take a look at this label location image of the SM-920, which is the Note 5. 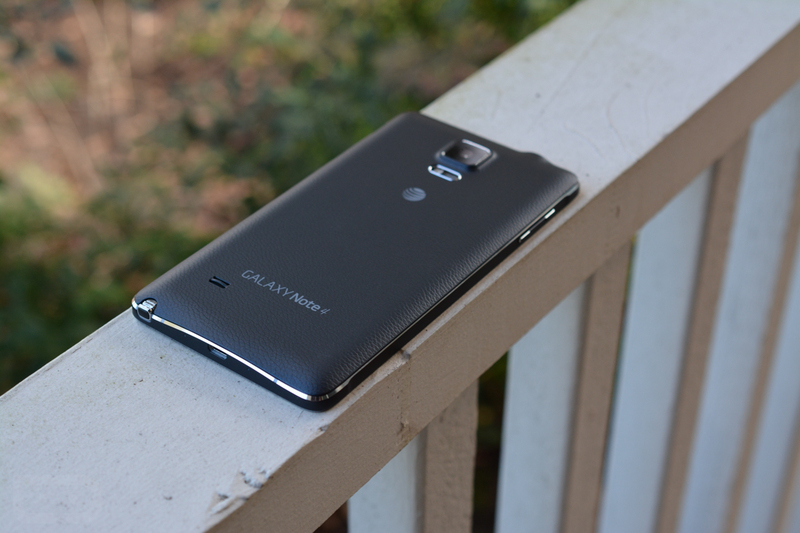 And here is the SM-G928, which is the S6 Edge+. Of course, all of the LTE bands for each carrier are present in the filings. It’s all there. These are your next flagship Samsung phones. Here’s to hoping we really do see them on August 12. Update: Sprint variants of the Galaxy Note 5 (SM-G920P, FCC) and Galaxy S6 Edge+ (SM-G928P, FCC) showed up this morning, July 21. It's #WorldEmojiDay! What's Your Go-To Emoji?